From Thanksgiving, to the beauty of shifting seasons, to the fun of cooler weather, there are plenty of things to enjoy about the latter part of the year. Most people think of summer as the official family vacation time, particularly since holidays like Thanksgiving and Christmas can feel less like vacation, and more like mandatory family time. 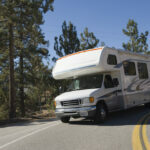 Yet, there are plenty of things that can make November and December great for vacations, particularly if you have an RV, and you like all that fall and winter have to offer. Just drive out and do what you love. These seasons have their benefits, just like summer. Yes, you may not be able to go swimming like you can in the summer—unless you enjoy a brisk dip in freezing waters for a thrill—you can still take your RV to the water. Pull your boat if you have one and you can. Or, park near the water and rent a boat. If you like fishing, take a boat that allows that. Or, perhaps you just like being on the water. Bundle up in the cool, or cold weather, take your coffee, cocoa, and treats, and then get onto the boat and drift. Or, go fishing. Experience the waters in all seasons. You can still camp and cook, too. If the weather is chilly, build a fire—safely, of course—and warm up. Cook your catch of the day, or anything you want. If it gets too cold to stay out there long enough, that’s why you have your RV. Go get warm there, instead. You can have the best of the outdoors, and the indoors, too. If you prefer to cook on a stove, or in the microwave, then get what you need from your RV and take a break from the harsher parts of the season. How often do you enjoy the seasons? Work and life go on just as the seasons do. We do what is expected of us as working adults, and so we take fewer opportunities to enjoy the world around us. Thanks to your RV, and to your efforts in taking the time to get away, you can make far more of a change in your life than you may realize. Just how much could truly experiencing life through the seasons make a difference? We can get so consumed by our daily lives and work that we forget how much little things can lessen our stress, help us relax, get better sleep, eat better, and feel better all around. They can bring people together, help them connect, or reconnect. Let your RV take you through the fall and winter; you may also be surprised at how you forgot the beauties of these seasons. There is more than the Thanksgiving and Christmas dinners and presents. There are very, very simple things, like colors, scents, and feelings that make them worth experiencing. If you have an RV, or even if you don’t, get up, get out, and come to Bethy Creek in fall and winter. It doesn’t have to be summer to be great.